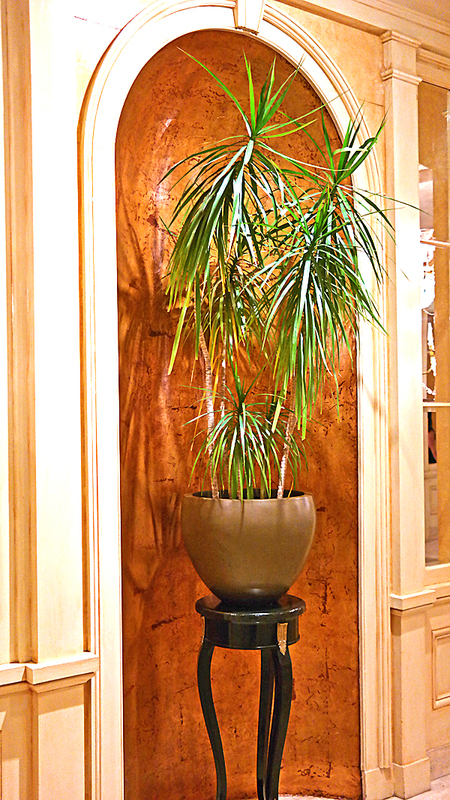 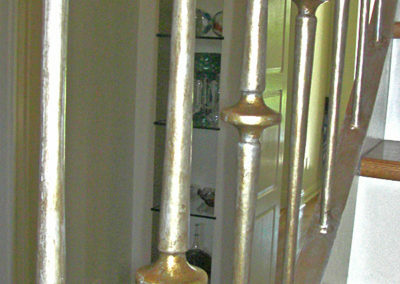 Gold and silver leaf will create a stunning and elegant look to impact areas in your home or business. 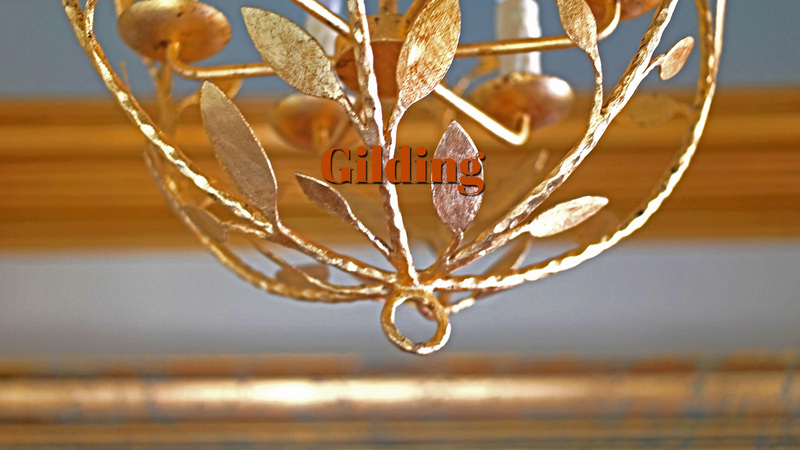 Gilding, or gold and silver leaf, has a long history and place of reverence in the decorative arts. 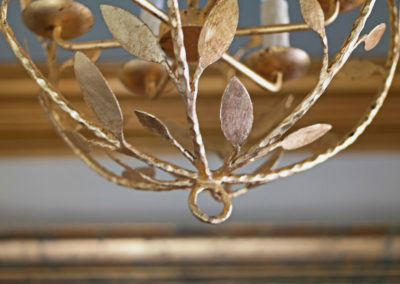 Gold leaf dates to ancient Egypt when gold was considered the color of the gods, pharaohs, and sarcophagi. 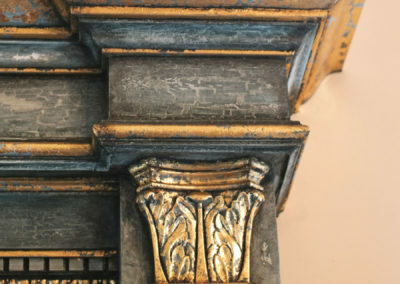 By 400 AD, it was found in texts and Christian works of art. 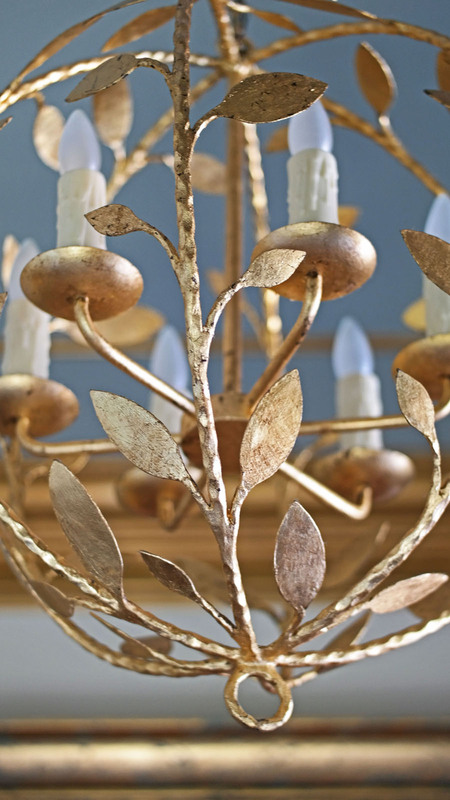 In the 1800’s, decorative artists began using it in various, often elaborate and elegant works. 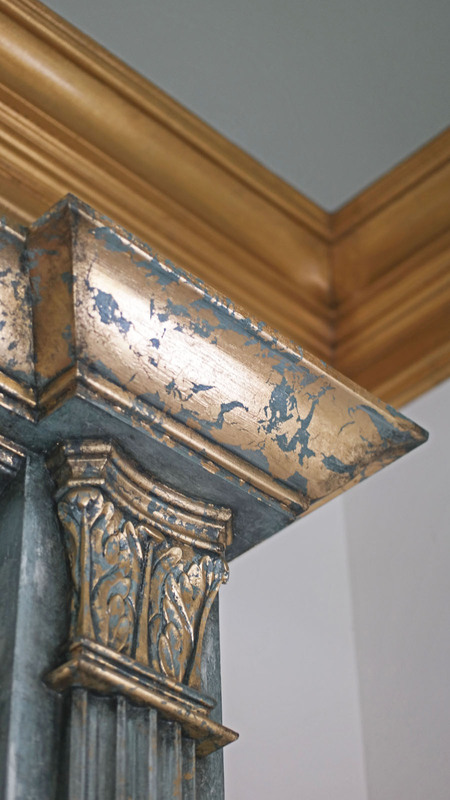 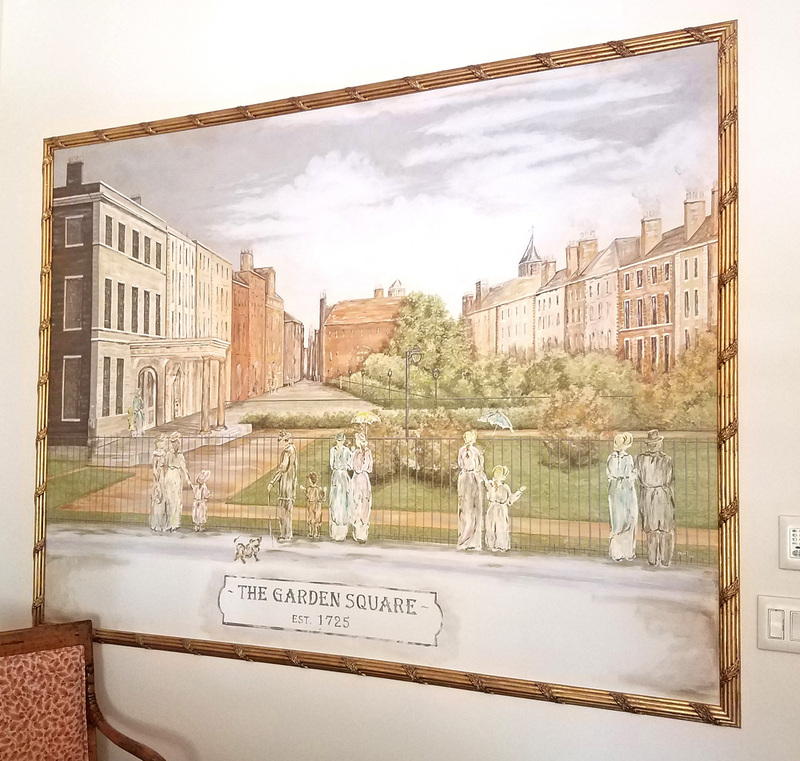 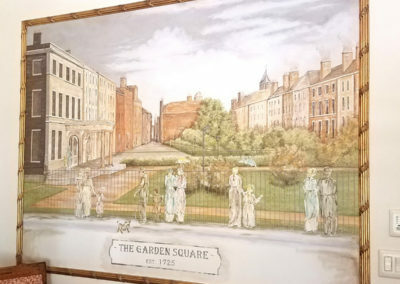 Today, gold and silver leaf are used to highlight impact spaces, images, and subjects. 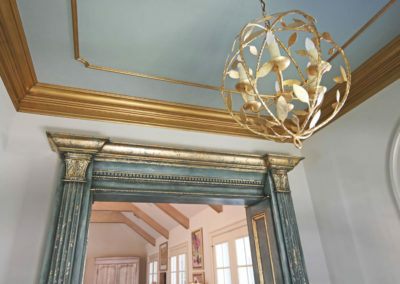 It creates stunning, glistening focal points in spaces that draw attention and garner admiration. 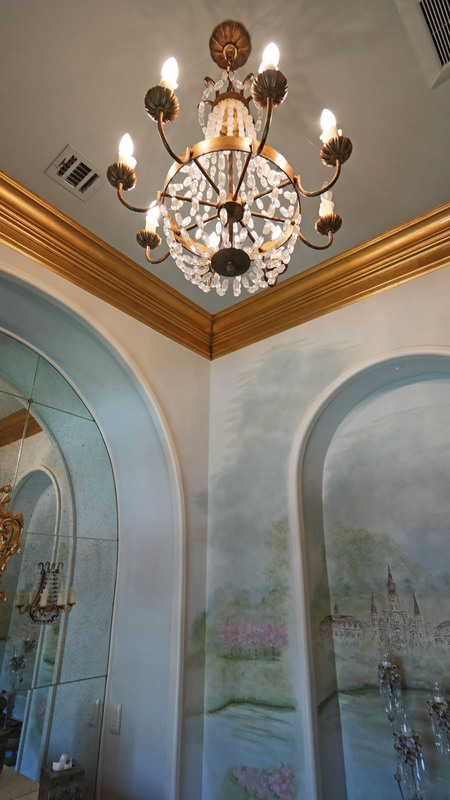 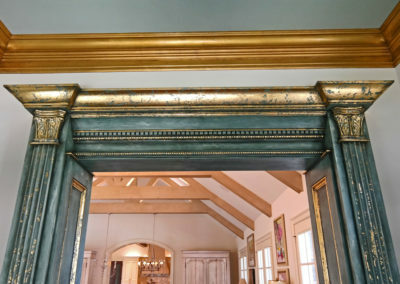 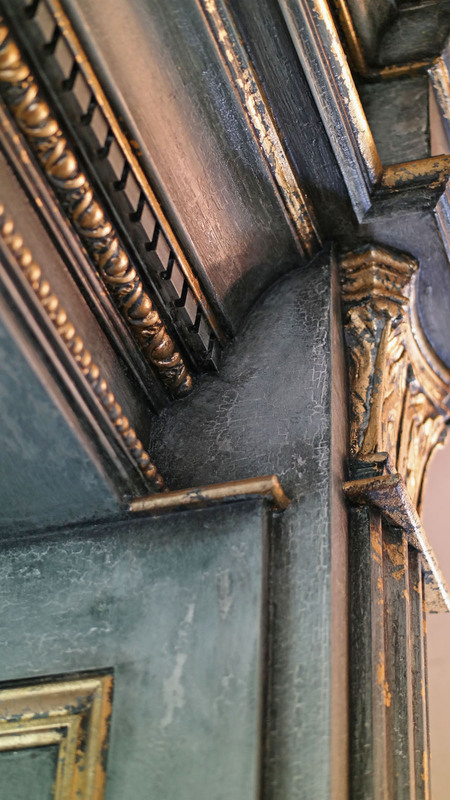 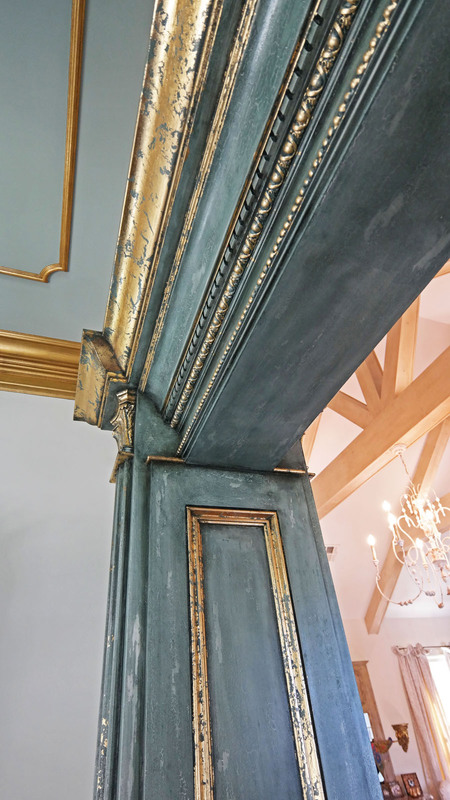 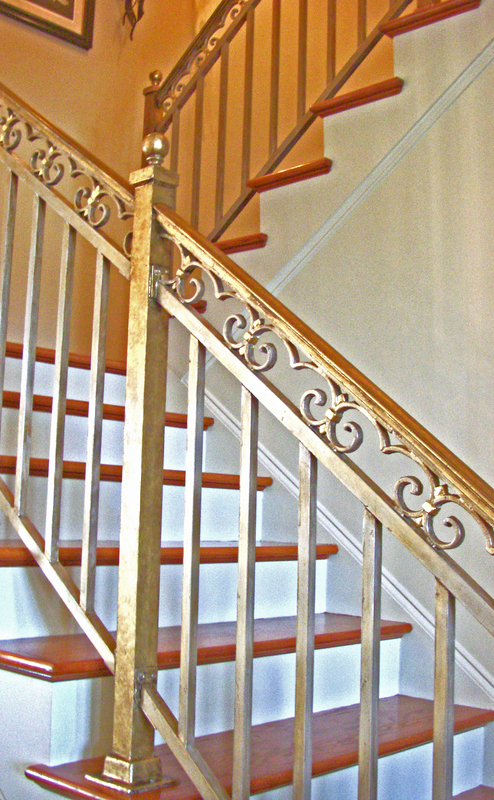 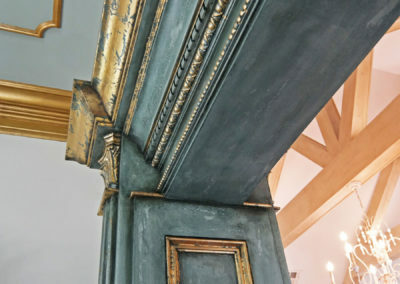 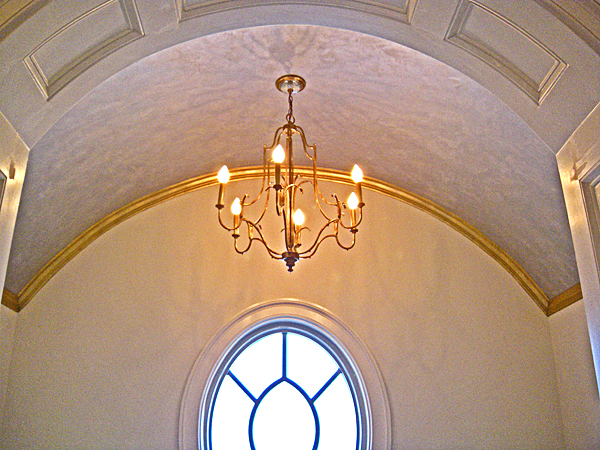 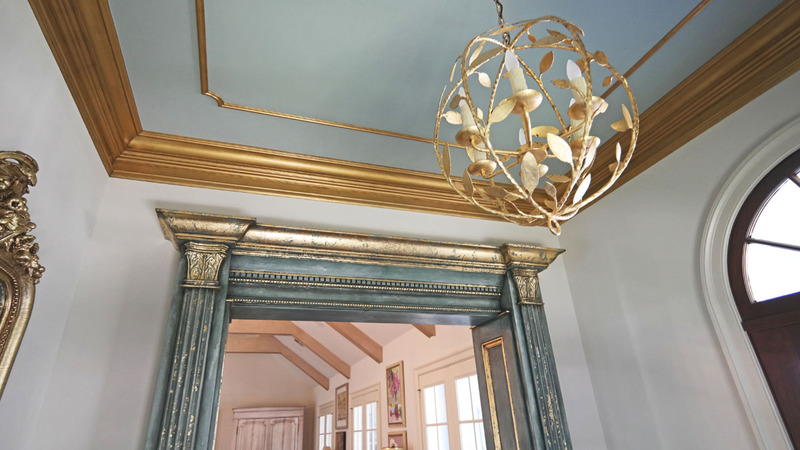 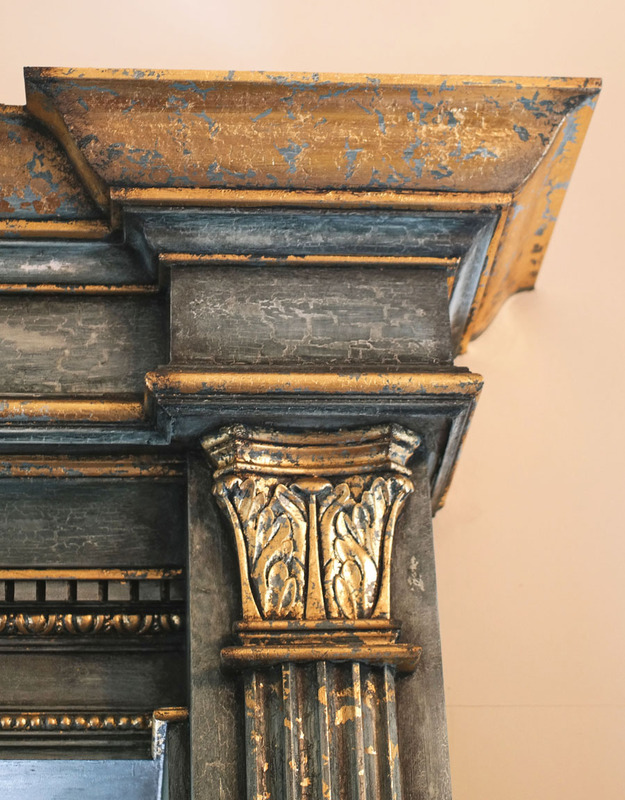 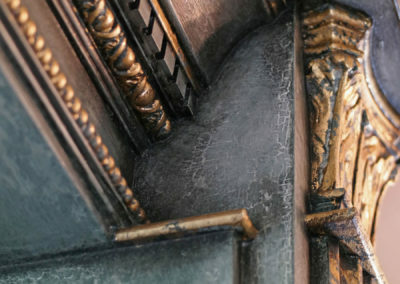 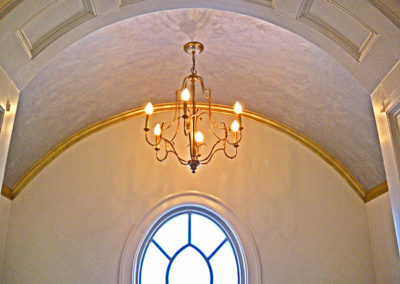 It is the perfect choice for highlighting crown molding, decorative stair railings, frames, chandeliers, ceilings, archways, furniture pieces, and cabinetry. 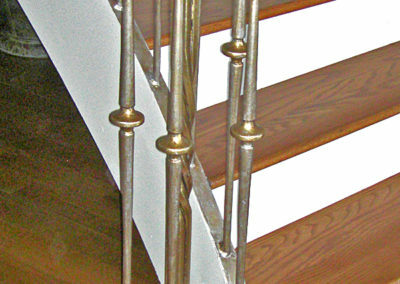 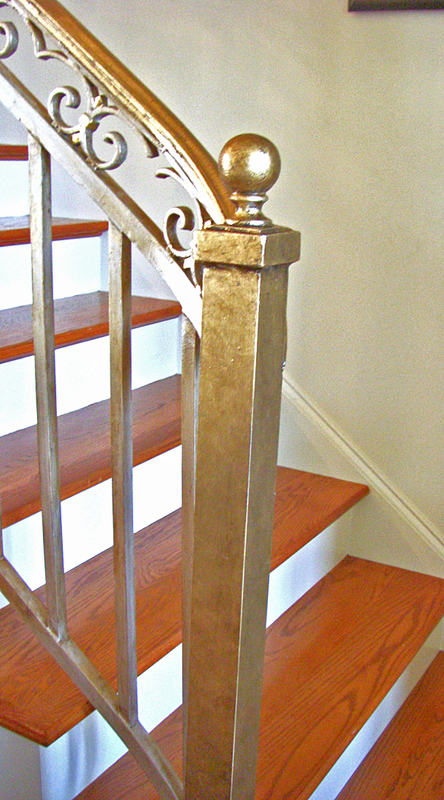 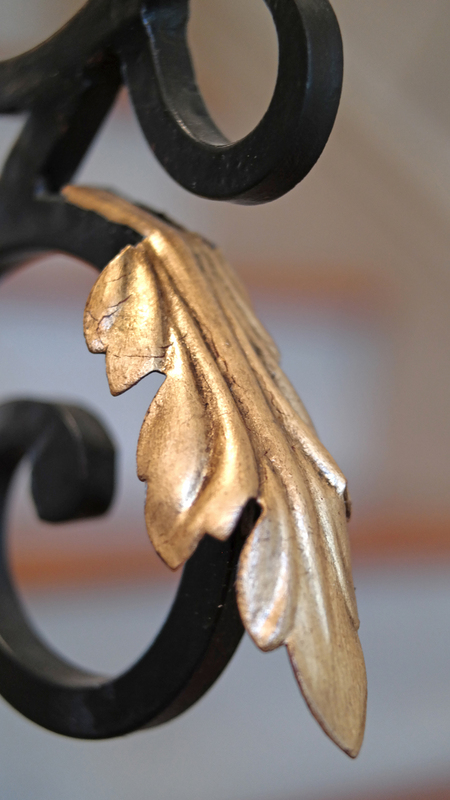 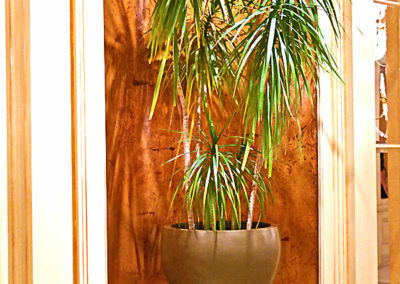 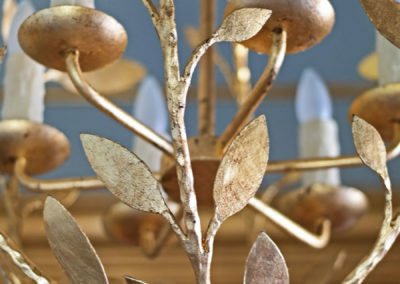 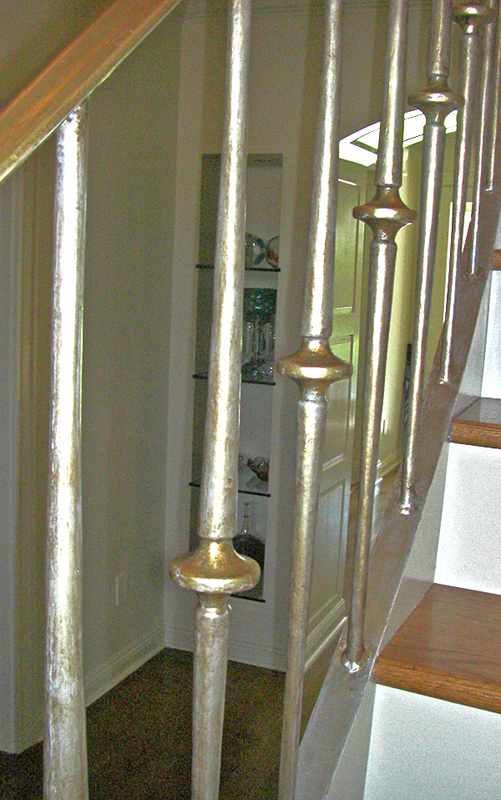 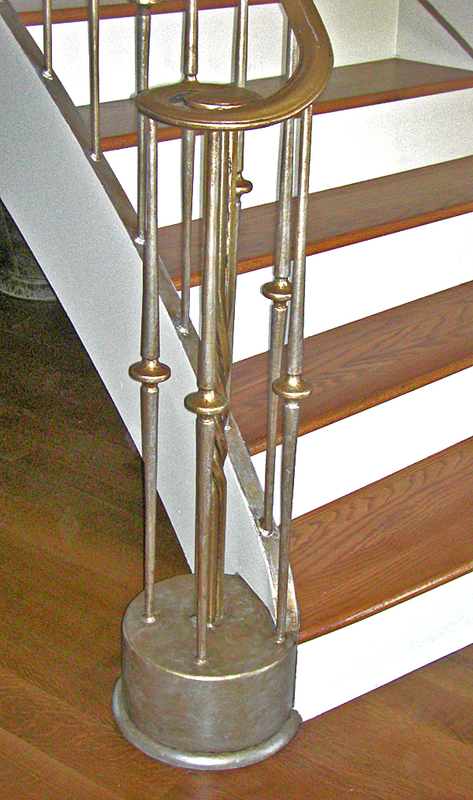 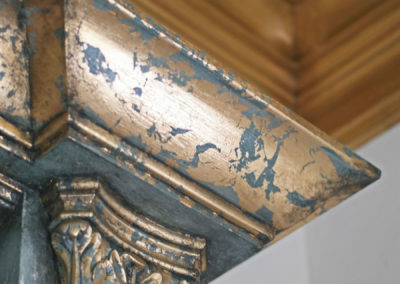 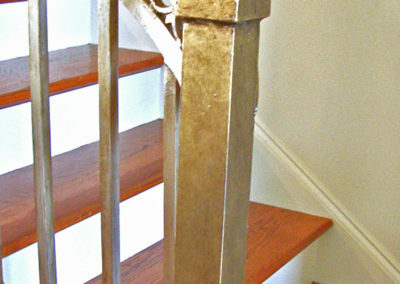 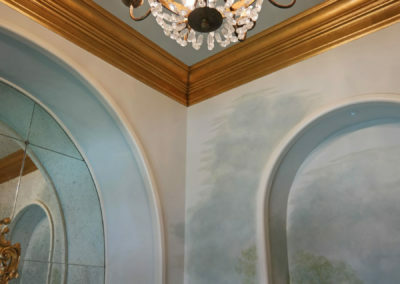 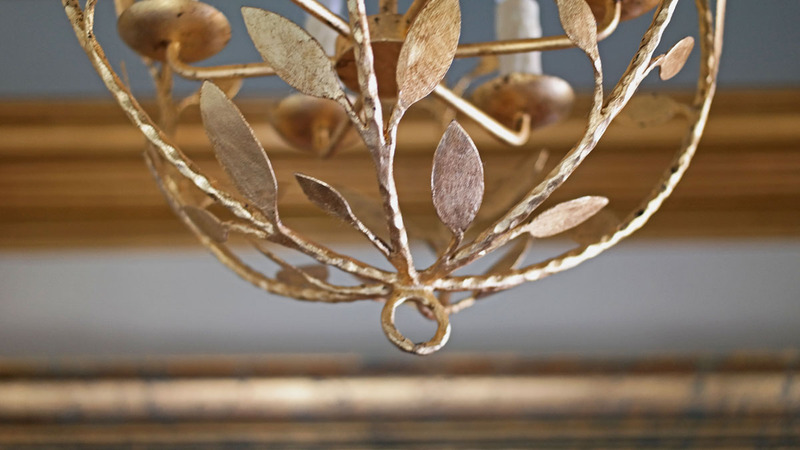 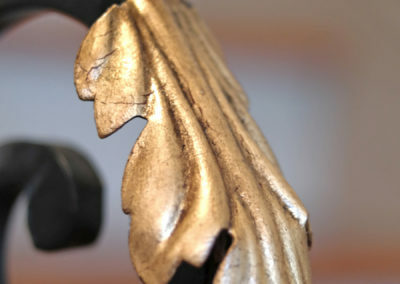 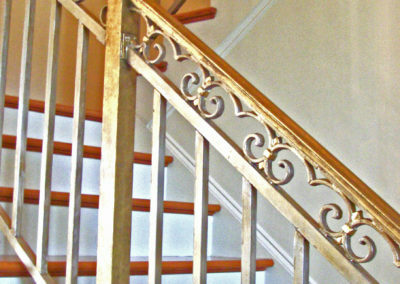 At Sylvia T. Designs, we have years of experience applying this delicate and stylish finish. 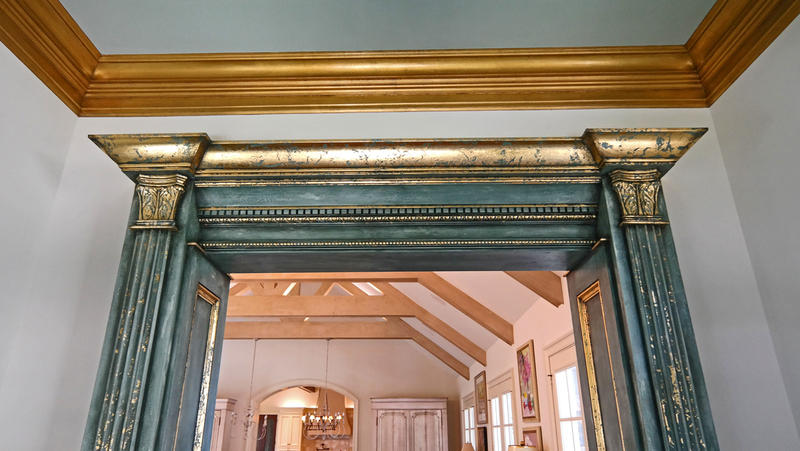 We can add it to accent and highlight specific areas in your space or deliver a more extensive application to create a near-magical aura in your room.